After visiting a masjid I decided to visit a church and what a coincidence, I came to know about the famous Christ Church Lucknow. Being a Hindu by religion, I have visited many world famous temples but today was the day to know and learn something about the other different religions. First, the Mosque and now the Church, I hoped it proved to be a world-class experience. While visiting the place, I came to know about a very surprising fact. 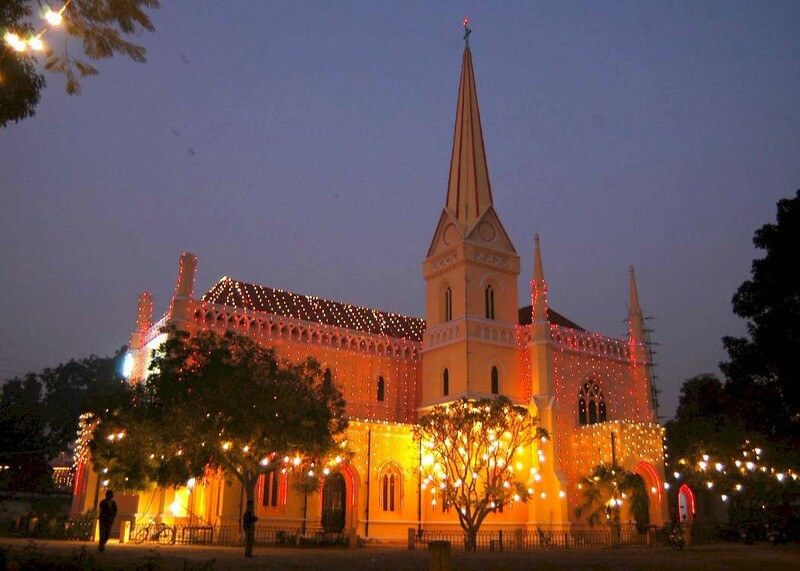 The city of nawabs, Lucknow has the distinction and peculiarity of having the first church in the whole of Northern India and the third in India. The church is constructed in the Gothic style of architecture having twenty steeples at its top. On the northern side and over the entrance is a cross. The church had a capacity of holding nearly one hundred and thirty persons at a time. 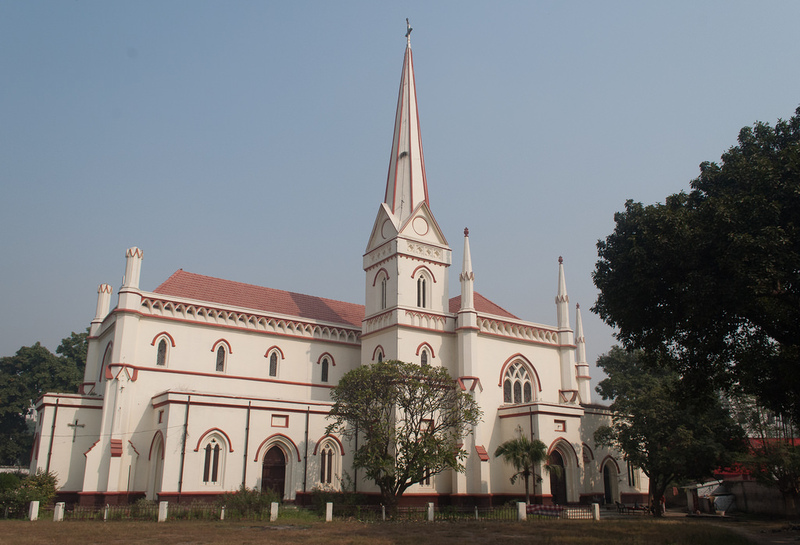 During the Sepoy-Mutiny in the year 1857, the church was used by the Britishers as a storehouse to store ghee. In the earlier times there were no attached burial grounds to the church but in this church the garden was converted into a cemetery. The marvelous original structure of the church was somewhat destroyed during the Sepoy-Mutiny but was later restored. 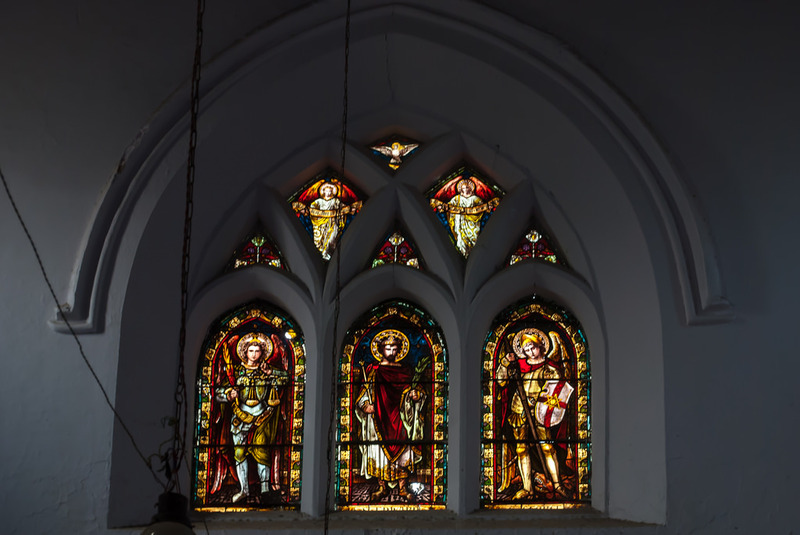 In 1860, the Christ Church was built as a memorial in the area of Hasrat-Jung to remember the sacrifice of dead people during the Sepoy-Mutiny for their brave acts. Originally, it was named the Church of England and the structure was designed and planned by General Hutchinson. Inside the church the Interior walls still have a large quantity of marble tablets and brass plaques, which were erected as a remembrance to the British Army Soldiers, clergy and also civilians. It was again improved and enlarged in the year 1904. The construction follows the form of a cross as the transepts on both sides symbolize the arms and the head is represented by the Chancel. It also has a Bell-Tower with a spire which is pointing to the sky. Christ Church Lucknow has been an amazing experience and I took many pictures of this church to show to my friends and was now eager to reach my next destination and that was Lucknow Zoo. This entry was posted in Church, Tourist Place, Travel and tagged christ church lucknow. Bookmark the permalink.